Kayak for 1 hour at Long Lake Provincial Park. 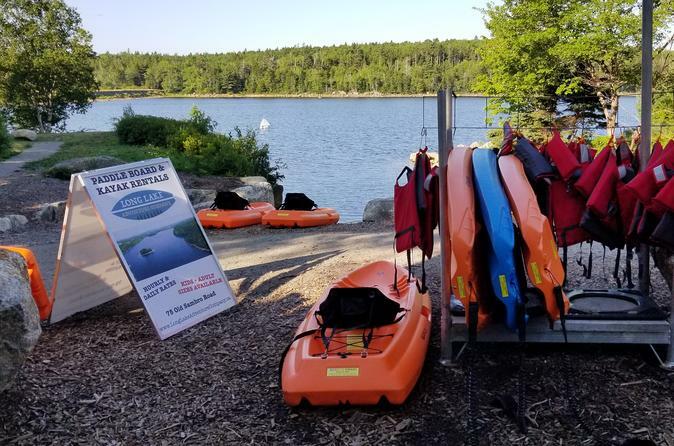 Long Lake is the centrepiece of Long Lake Provincial Park, a 5000+ acre wilderness oasis that borders on the edge of Halifax’s urban core, only a ten-minute drive from downtown Halifax, and central to the entire city. Long Lake was the City of Halifax’s principal water supply from the mid-1800’s to the 1970’s and a result it has always been protected from adjacent development that could negatively affect its water quality. The result is a 3 km+ long lake on the edge of the city with absolutely pristine water and an uninterrupted, unaltered natural shoreline. Long Lake is a great place to spend several hours of a day traversing the lake and exploring the many inlets, two islands and the old dam that created the lake’s current shape two centuries ago.